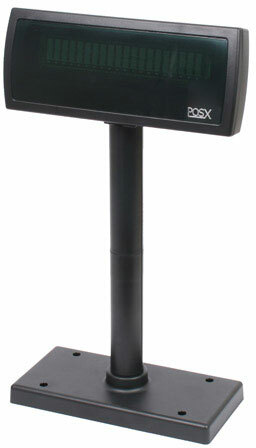 The POS-X Xp8200 Pole Display was designed to blend in beautifully with your POS Station. Beyond its great looks, the lack of dip switches make configuration through the provided software a breeze. Featuring OPOS support and several popular emulations, including Epson, CD-5220, and UTC, the Xp8200 makes a great addition to any POS station. Larger than industry average characters and adjustable height stand round out the Xp8200's features. Pretty much plugged it in and setup my software for a display. Looks great and hasn't given me any problems since setting it up.